The Speaker of the House of Representatives, Yakubu Dogara who represents Dass, Bogoro, T/Balewa federal constituency of Bauchi State, has been re-elected, ending the first phase of power struggle between the number four citizen and the governor of Bauchi State. The official result was announced by the Returning Officer, Prof Mahmoud Abdulhamid, amid tension and anxiety that enveloped the Zwall Primary School Collation centre at about 10:00 pm on Sunday. 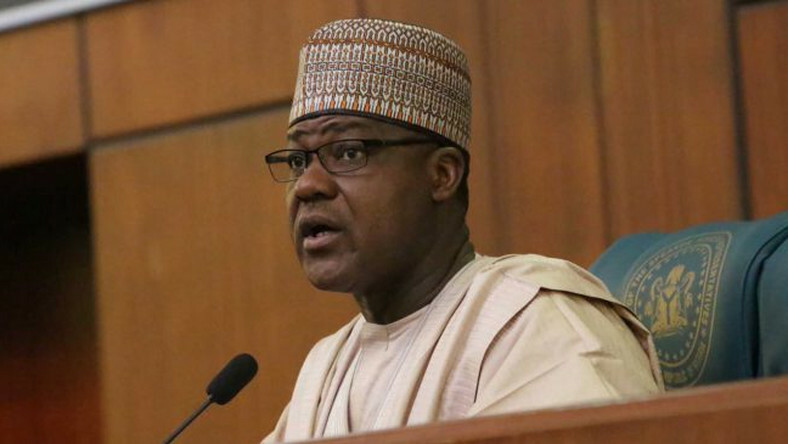 Abdulhamid announced that the candidate of the All Progressives Congress (APC) Abubakar Dalhatu Kantana polled a total of 50,705 while Speaker Yakubu Dogara of the People’s Democratic Party (PDP) scored a total of 73,609 to emerge winner. The announcement of the result was delayed by about 600 votes outstanding from Kopti unit where elections did not hold on Saturday due to a faulty card reader. The victory of Dogara set the stage for what will be a fierce political battle between him and Governor Mohammed Abubakar. Sources confided in our correspondent that the governor would certainly be unhappy and jittery too over Dogara’s victory as it was alleged that he had earlier vowed to stop Dogara. But with Dogara’s victory, the room is now wide open for the PDP to mount a concerted battle to prevent Governor Abubakar from securing a second tenure.